More than 26,000 people speak the Hawaiian language or ʻōlelo Hawaiʻi, according to the U.S. Census Bureau. The movement to revitalize the ʻōlelo Hawaiʻi has come a long way, says Heather Giugni, a filmmaker and one of the producers tasked with overseeing the Moana dubbing project. Moana, the main character in the Disney hit, is voiced by Hawai'i's Auli'i Cravalho. 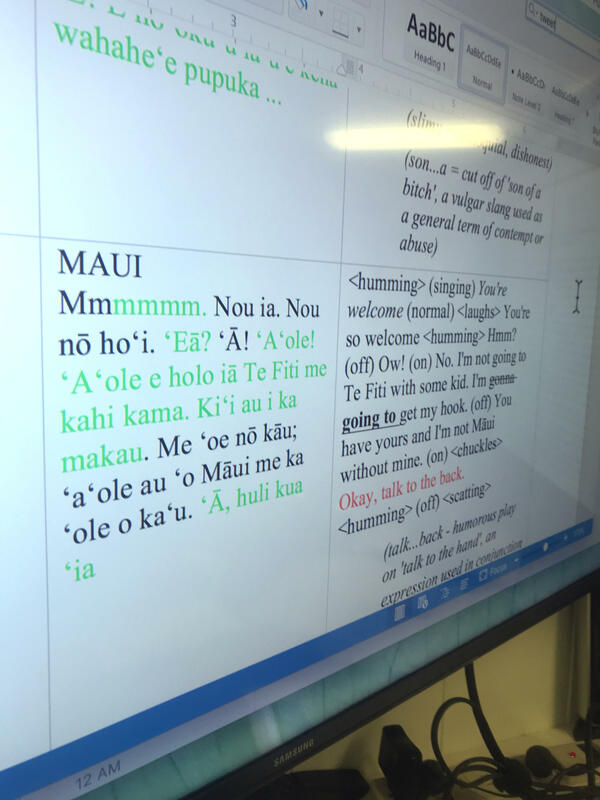 "Taking a project like Moana, a Disney project that is loved around the world now, and having the opportunity to translate it into Hawaiian, ʻōlelo Hawaiʻi, is fantastic," says Giugni. 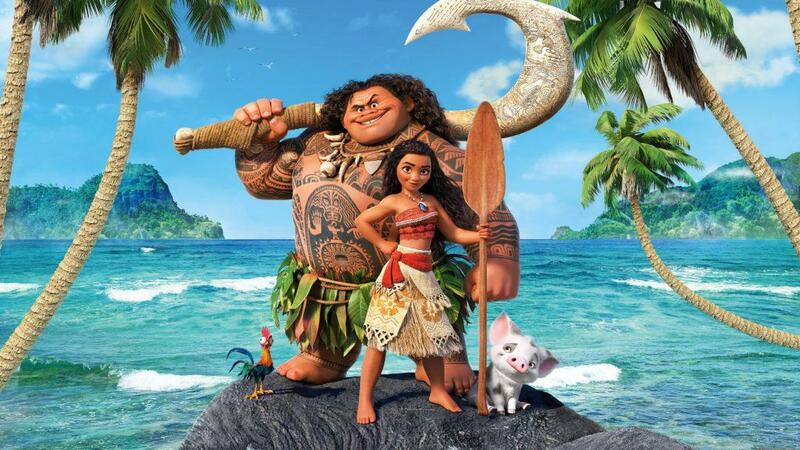 The animated film tells the story of a Polynesian princess, Moana, on an adventure with her chicken, Heihei, and the demigod Maui. It brought in an estimated $643 million at box offices worldwide. 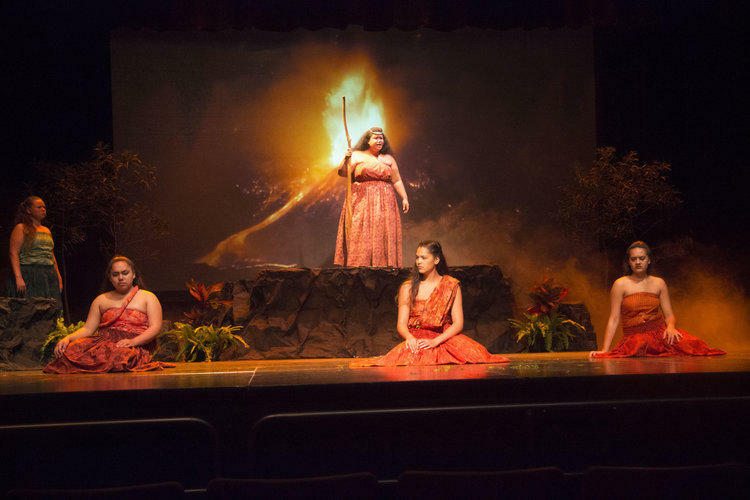 The movie has been dubbed in Tahitian and Māori, but a Hawaiian version took some convincing, says Chris Lee, founder and director of University of Hawaiʻi's Academy of Creative Media. 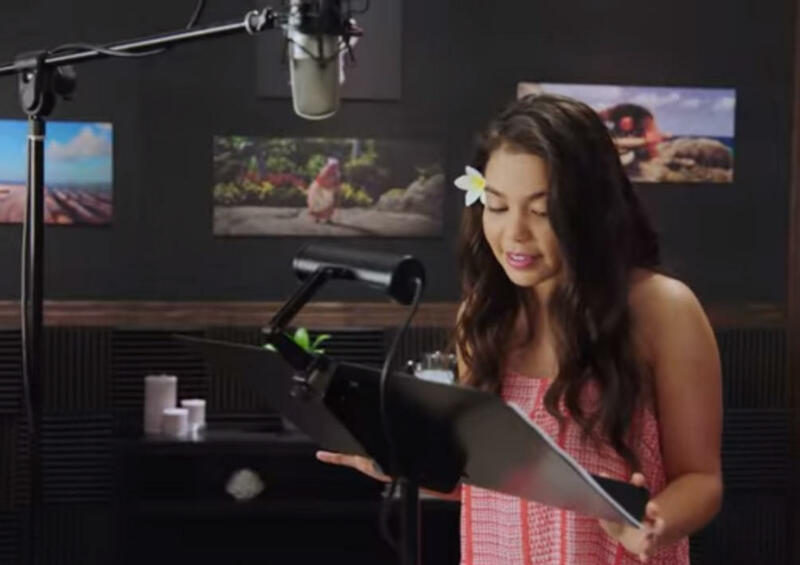 Hawai'i's Auli'i Cravalho in Disney's studio for the recording of Moana. 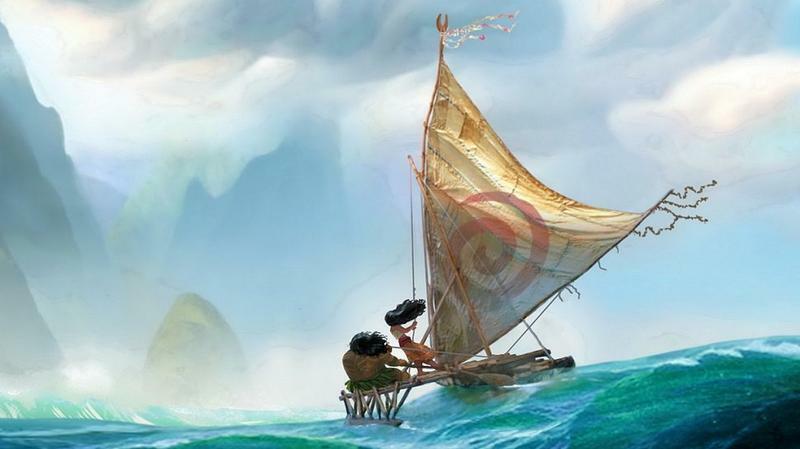 Cravalho will be the voice of Moana in the Hawaiian language version of the movie. "One of the great things is because we had this infrastructure in terms of individuals who could do translations, and direct, and cast, and also record, I could promise them a sort of seamless process in terms of getting this done and minimize the amount of bandwidth they would have to expend helping us do this," says Lee. 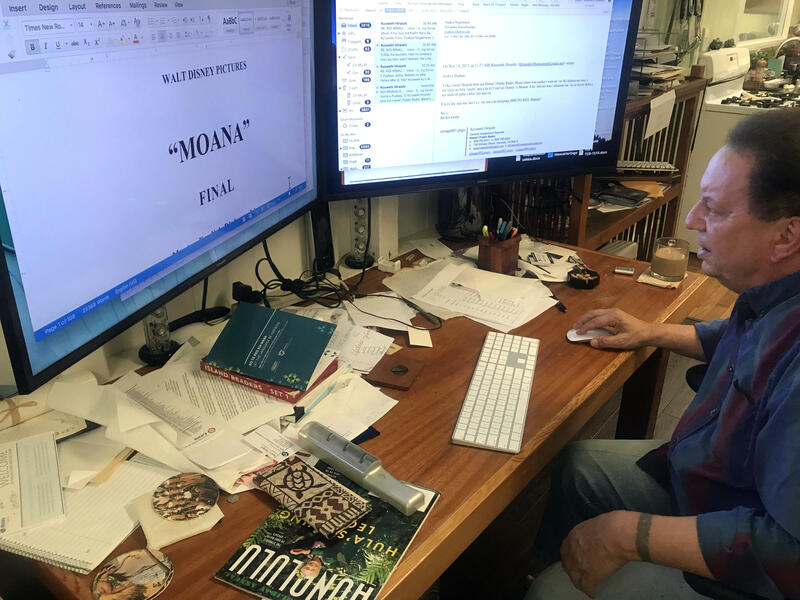 The translation of the hour and 47 minute-long film fell on the shoulders of Hawaiian language professor Puakea Nogelmeier and his team of five at Awaiaulu, a community non-profit specializing in Hawaiian-language translation. Hawaiian Language Professor Puakea Nogelmeier pulls up a copy of the final translated script of Disney's Moana. "You could put the whole thing through Google Translate and come up with something," says Nogelmeier, "But we wanted what’s accurate. We wanted language that’s going to be understood by an audience today and especially by an audience of 5 and 10-year-olds, right?" The linguist also saw an opportunity to revive older forms of ʻōlelo Hawaiʻi. Nogelmeier gives us a glance of the final translated script for Moana. The text highlighted in green is where the translated speech needs to be in sync with the character's lip movements. "There’s a place where the little girl goes I wanna see," says Nogelmeier, "And there’s actually a turn of phrase – inane. Inane means like 'Ho, let me see.' And it might not be in widespread use today but it’s so apparent from the setting, and it’s so proper, and it links to an older kind of language." Seamless lip syncs are sought in dubbing projects, which makes the translation workflow that much more challenging. 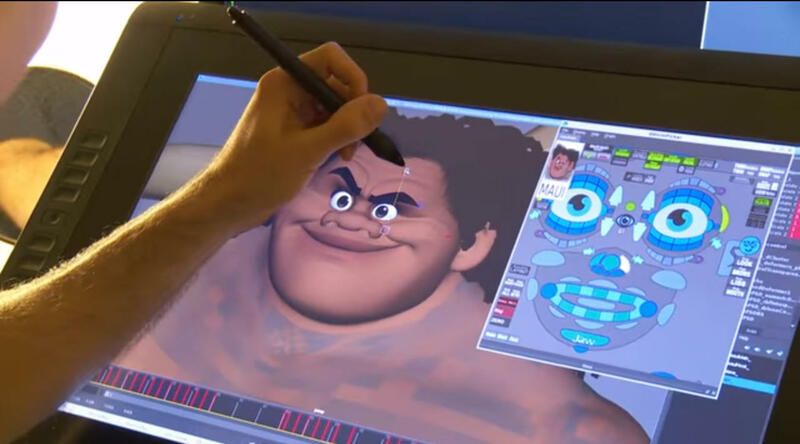 Behind the scenes animation on Maui, the demigod in the Disney movie Moana. Nogelmeier and his team have been working since July to translate the entire movie. But the trickiest part was having the language fit the animation. "They made those lips match the English script and it’s a pretty good match. Now we have to make Hawaiian match those lips," says Nogelmeier, "So accuracy got adjusted for time and then it got adjusted heavily for matching lip. And that was an ongoing, like the doing the New York Times crossword in pen with your eyes close." As challenging as this undertaking was, his hope is it will help build a stronger and broader ʻōlelo Hawaiʻi speaking community, and perhaps even an industry. 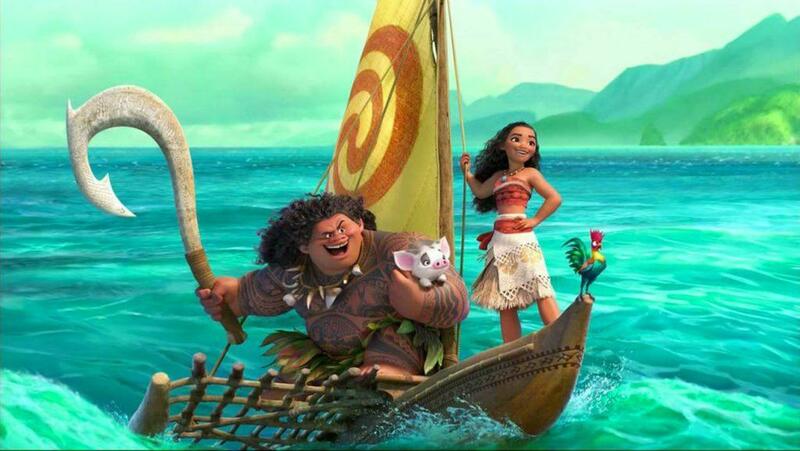 Casting for Disney’s Moana is still underway for fluent Hawaiian language speakers and singers. Deadline for submissions is November 17, 2017, 5:00 p.m. Click here for instructions on submissions. 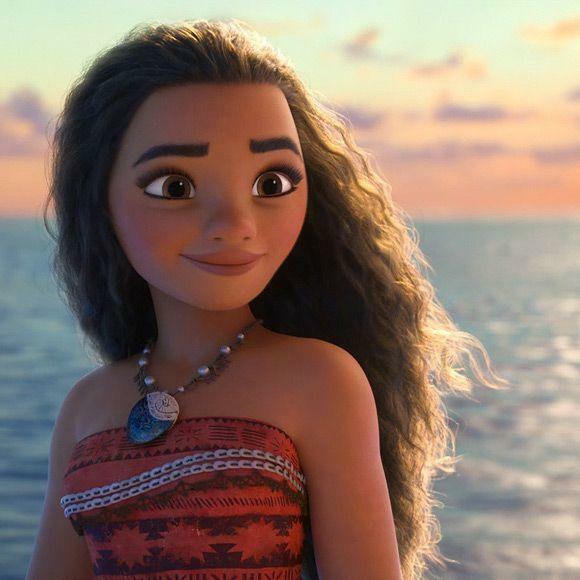 Disney’s movie “Moana” has opened in theaters following a wave of both praise and controversy. The story follows an adventurous teenager who sails across the pacific on a mission to save her people. 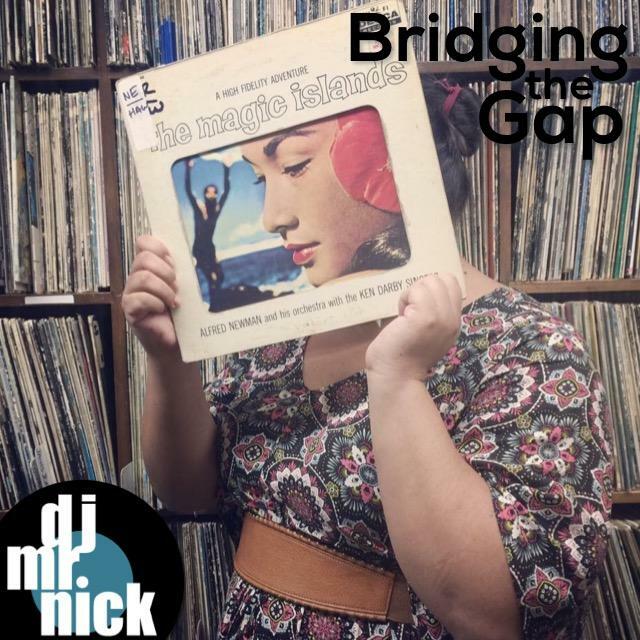 Along the way she meets the demigod Maui and discovers her identity.